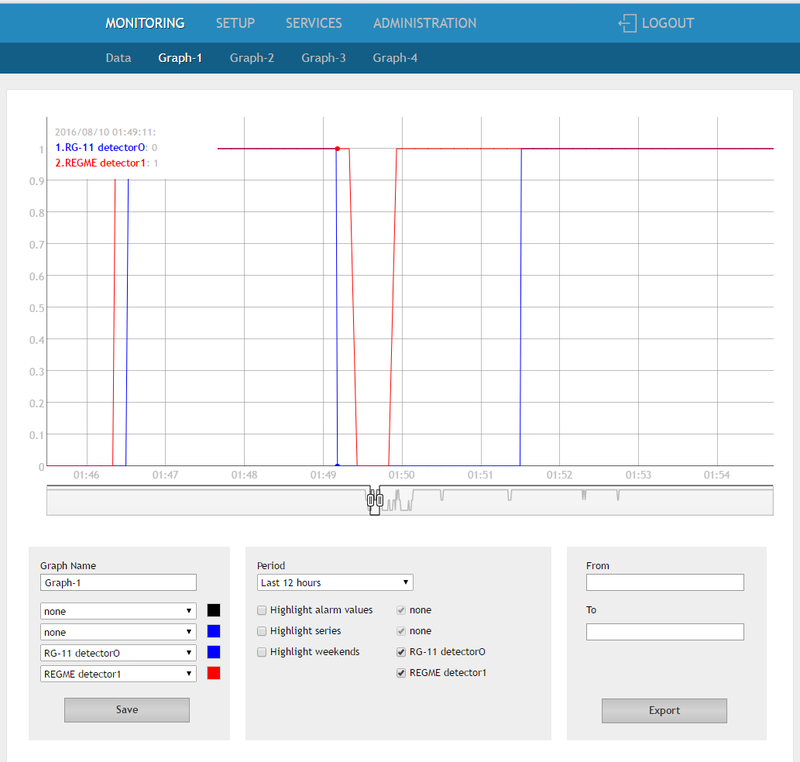 In this article will be shown how to use Ethernet data logger TCW220 with a rain detector. Two different rain detectors are used – RG-11 and CON-REGME. RG-11 is manufactured by Hydreon Corporation, while CON-REGME is manufactured by B+B Thermo-Technik. An example test setting is shown in Fig. 1. Both rain detectors are powered by the controller TCW220. In the event of rain or snow, they send a signal to the digital inputs of Ethernet data logger TCW220 (the rain detector RG-11 to digital input 1, the rain detector CON-REGME to digital input 2). The controller TCW220 is equipped with a logger which enables the storage and comparison of the information received by the two rain detectors. The corresponding connections between the controller and the rain detectors are shown in Table 1. To get accurate measurements from the rain detectors, they have to be mounted in a spot where there is free access to rain. A mandatory requirement when assembling the rain detectors is all components to be dry because any moisture in them creates condensation which may damage the rain detector. This type of rain detector uses a sensor that detects the conductivity changes on the sensor surface. That change leads to the activation of a relay which then sends a signal to the digital input of the controller TCW220. This rain detector operates at different sensitivity levels which can be changed so that the presence of fog can also be detected. The sensor surface can be heated which will enable operation at low temperatures and will speed up the drying process of the sensor. 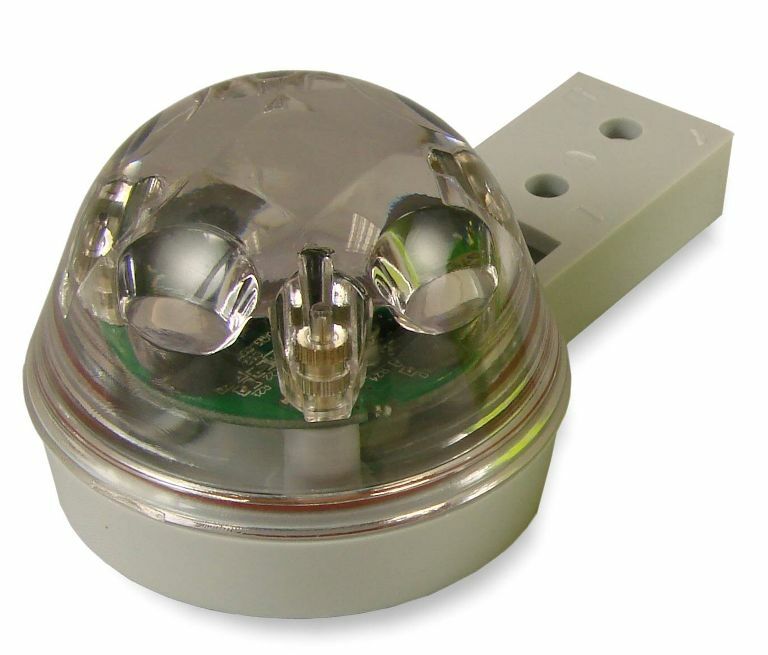 This type of rain detector uses infrared rays that are reflected by a lens. When there is water on the lens, some of the rays get reflected. The sensor detects the difference in the intensity of the rays and then activates a relay which sends a signal to the digital input of the controller TCW220. 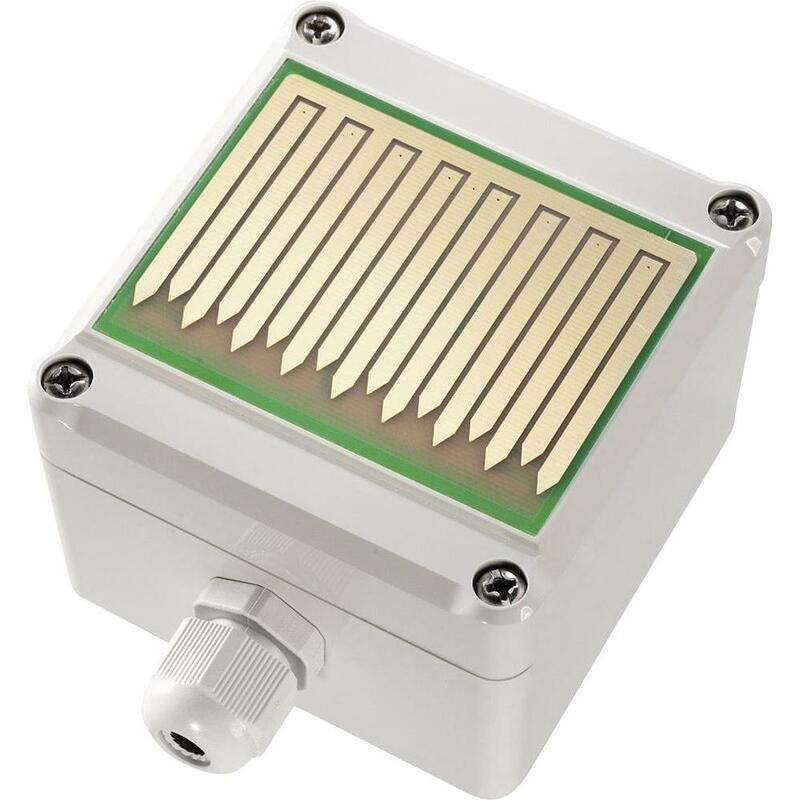 These rain detectors can operate at different sensitivity levels and in various modes that are changed by using DIP switches. Figure 2 shows the feature of the controller TCW220 to display the saved data from the rain detectors and to compare them. 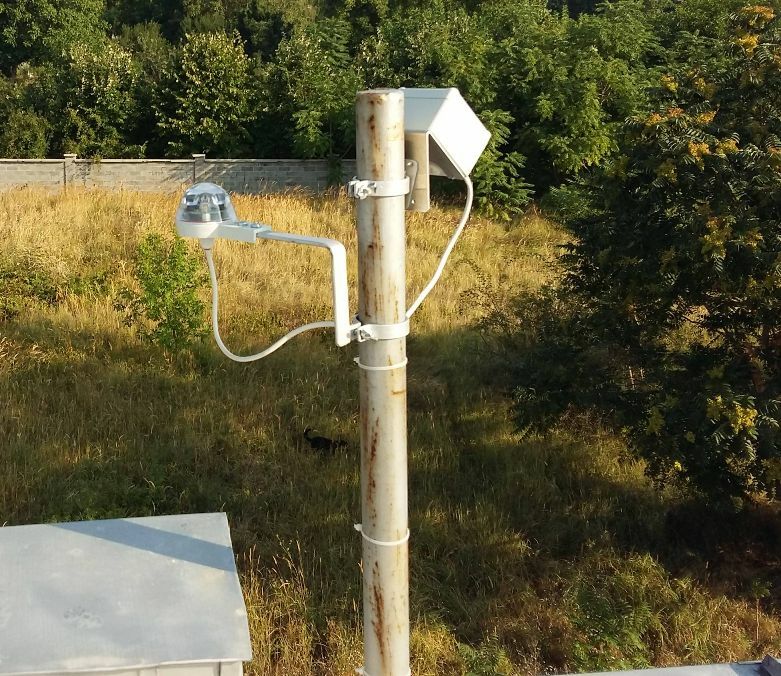 In the case below, the rain detector CON-REGME, using a sensor for changes in the conductivity, is the first to detect the presence of rain in both measurements. The detector using infrared rays has registered it later because depending on its operating mode, it will send a signal for the presence of rain at the specific intensity of the rain. A signal that it is not raining is first sent by the rain detector RG-11, and later by CON-REGME whose surface dries up a little more slowly. 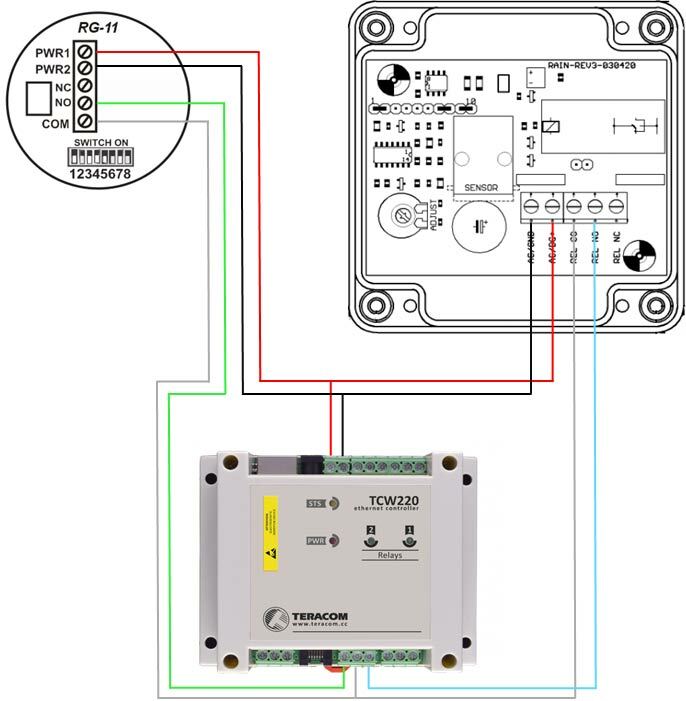 Each of the tested sensors in combination with Ethernet data logger TCW220 can be used for condensation sensing, irrigation control, automation of greenhouses, balcony sun shades, and so on.